take care of youRSELF, first. In episode 41, we dive right into why it might be time to scale back on your work to make space for the kind of daily flow you truly crave in your business. I am joined by Business and Life Coach Caroline Britton as she reflects on her journey with setting big business boundaries that have ultimately led to greater joy and fulfillment (oh, and time!) within her business! In episode 40, I share out the 5 core non-negotiables that I have set as business boundaries that have been essential in helping me grow my coaching practice. These are the daily, foundational items that have been absolute musts in hitting core goals within my business, and today I am sharing each one with you! In episode 39, I am joined by artist and entrepreneur Ali Nelson who talks about her experience using Instagram to share out her work, connect with others, and spread her reach. Ali talks candidly about how our lives can serve as content but how we may also need to step back and give ourselves pause when needed. In episode 24, inventor and founder Miki Agrawal joins me to chat about her journey to launch two companies, a pizza restaurant, and write two books! She shares how she did it, what inspired her, how she continues to create what is on her heart and how you can too! Rini Frey opens up about her journey to body love and shares practical tips to help you too. 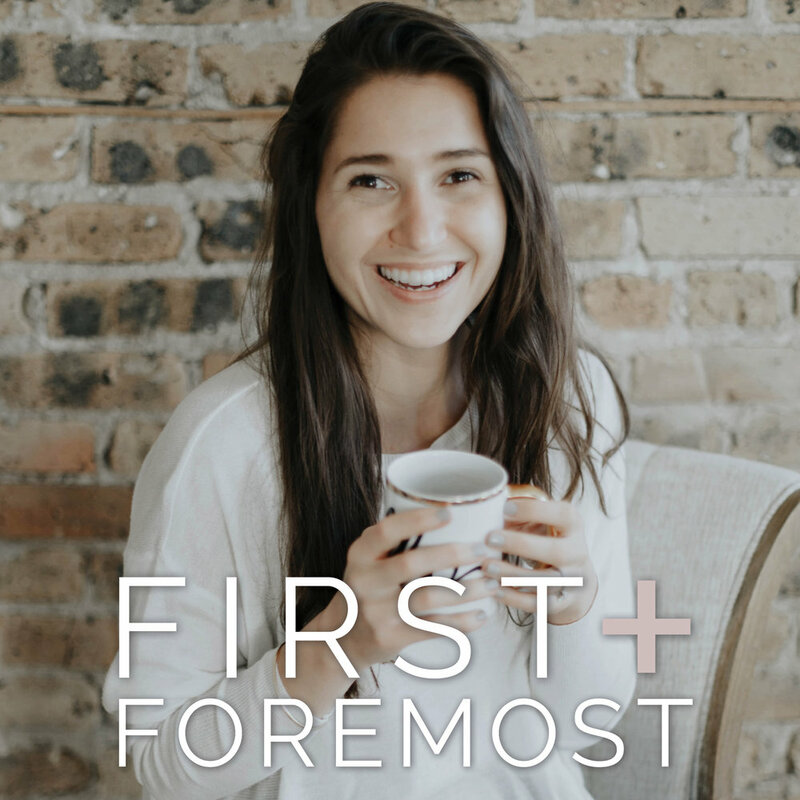 We talk about behaviors to be on the lookout for and for a fun bonus, she shares some behind-the-scenes tips about how she has grown her Instagram following! I invite you to come behind the scenes as I share about my experience growing up in foster care. This episode is ideal for those of you who are curious about foster care and/or want to learn more about my experience in the system. Taking care of business starts with taking care of you. Get monthly inspiration delivered straight to your inbox! 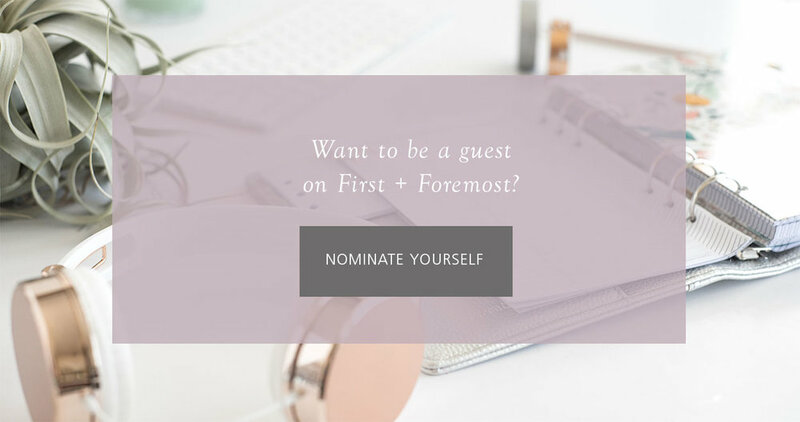 Join my First + Foremost community to get tips on self-care, self-love, and more! …and snag my Daily Routine Workbook as a welcome gift! Thank you, love! Now be on the lookout for an email coming your way from me. Be sure to check your inbox, spam, and junk folders just in case!